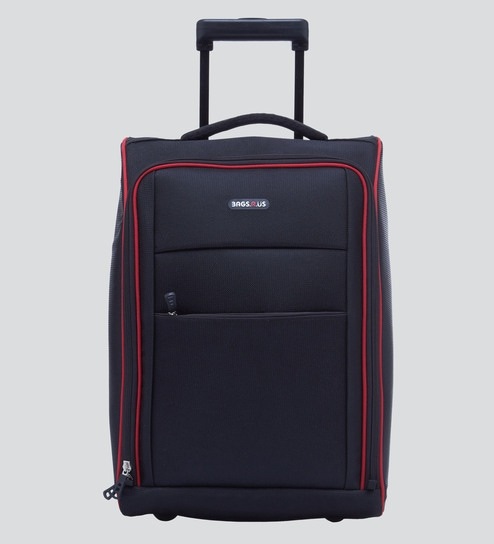 A great choice for travel, this BagsRUs Matte soft side 2 wheel luggage overnighter bag measures 19 inches a size that s accepted as a carry-on for most flights. The luggage bag works well for weekend getaways or day business trips, offering enough packing space to hold a few changes of clothes, toiletries, and a pair of shoes. Made from Water ResisTant Polyester and sporting tote bumpers to protect the bag, this bag is the perfect travel companion. The Dual Telescopic Trolley offers to handle ease to meet the demands of the modern traveler. A one-stop-shop for home decor and furniture, Pepperfry sells a home product every 30 seconds.